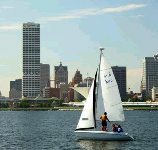 “This will be a once-in-a-lifetime economic opportunity for Milwaukee and its citizens. With the collaboration of Milwaukee’s corporate community, the nonprofit sector, the small business community, and engaged Milwaukeeans, we are confident Milwaukee 2020 will be a world-class event that makes Wisconsinites proud. The work starts today!"